This Hudson Reed body jet continues their tradition of high quality products. A stunning chrome finish really gives this square body jet a touch of modern class. The Hudson Reed body jets will give the ultimate experience to any shower. Although sold individually body jet are normally used in sets of four or six and require high flow rates when used in conjunctions with an overhead shower. 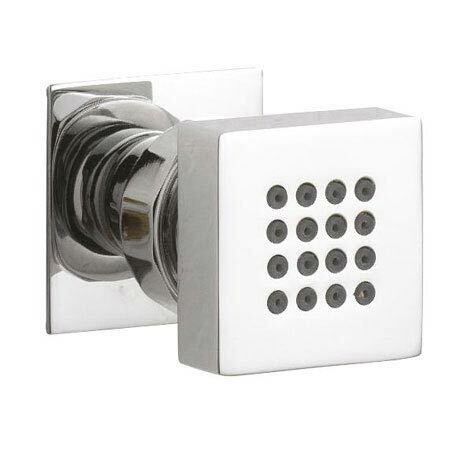 We recommend a minimum of 2.0 bar when using body jets with your shower valve.